Say it with flowers. 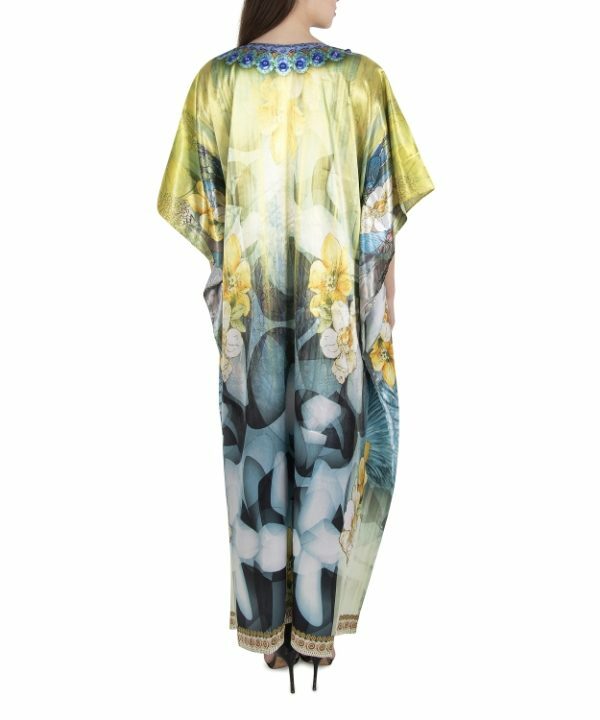 This alluring embellished kaftan features a floor length sweep of blended satin adorned with tropical blooms and delicate chain print motifs. 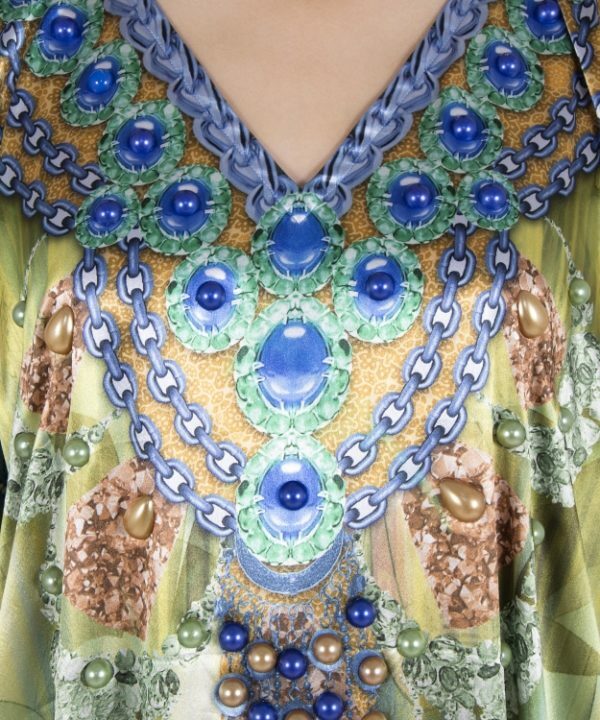 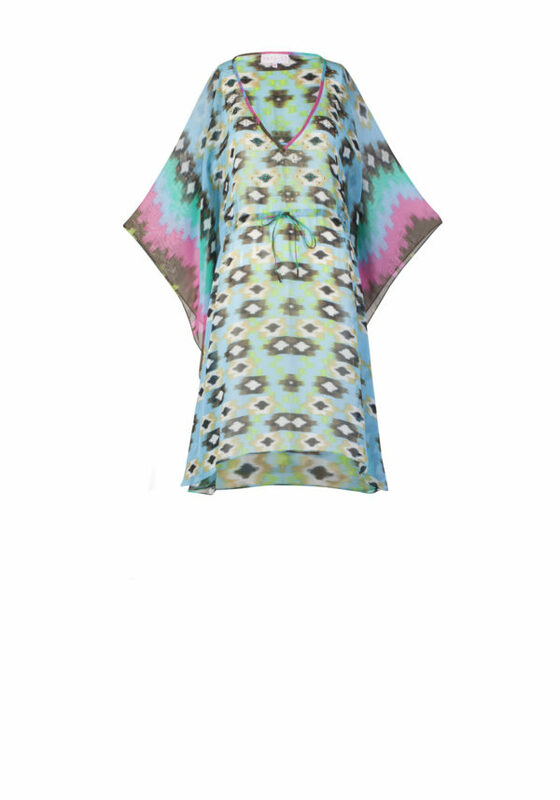 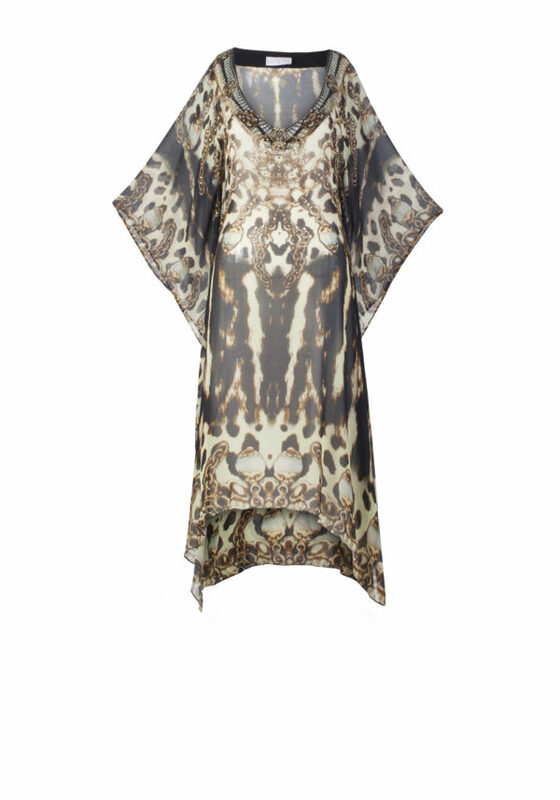 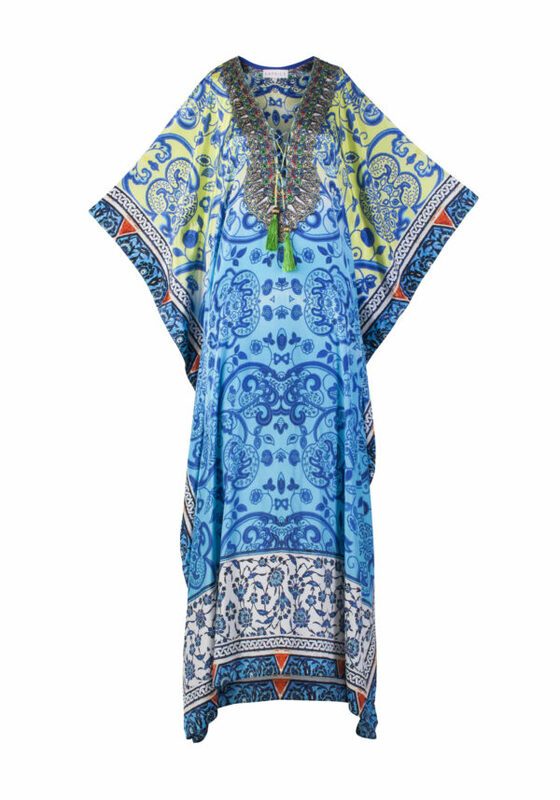 Style this dreamy printed kaftan a multitude of ways to unveil the ethereal enchantress within.